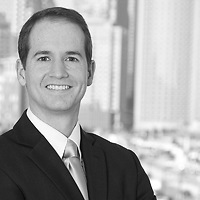 John A. McBrine, an associate in the firm’s Trusts and Estates Department, will co-chair the Boston Bar Foundation’s Passport to Pairings inaugural event on June 26. Passport to Pairings replaces Justice is Sweet and all proceeds of the events will benefit the public service projects of the Boston Bar Association. The Passport to Pairings event will feature seven food and beverage pairing stations with food from around the world and information on one of the projects directly benefitted by the money raised at the event.